Another wedding invitation. This one has the groom hugging the bride. The bride is holding a bouquet of red flowers. The loving couple used the caricature for their wedding invite, as well as for their “save the date” magnets. 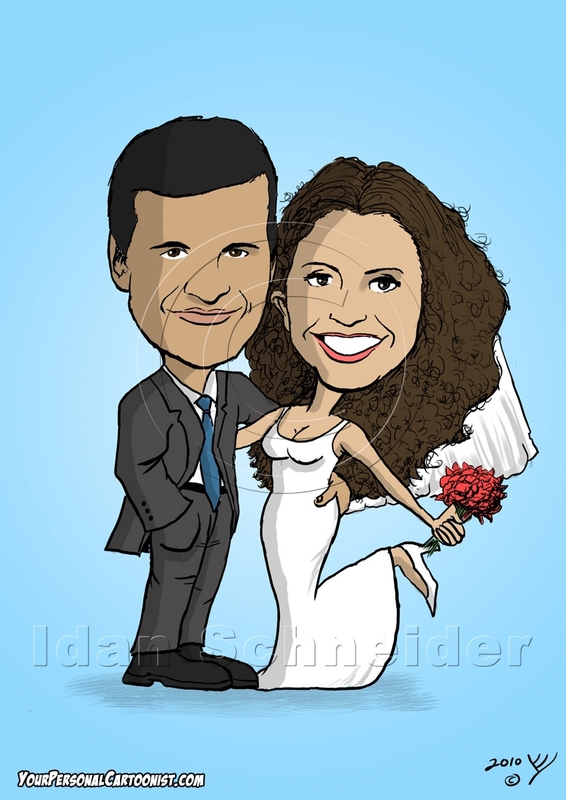 Like this wedding invite caricature? 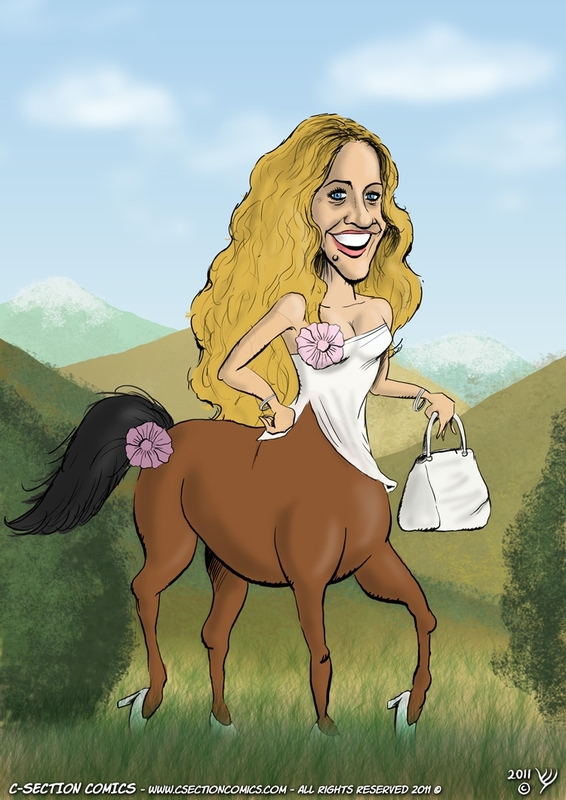 I’ll draw you a caricature for your wedding invite, in the same style, in a pose of your choice. Click here for more information. 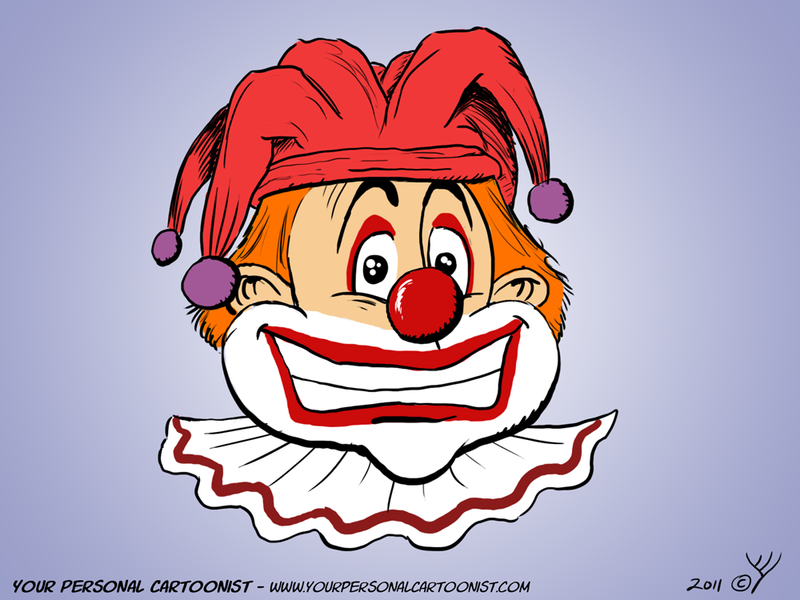 A cartoon of a birthday clown wearing a red hat. Like this clip art? You can license it for for whatever purpose you wish, be it personal or commercial, for an affordable price! Click here for more information. 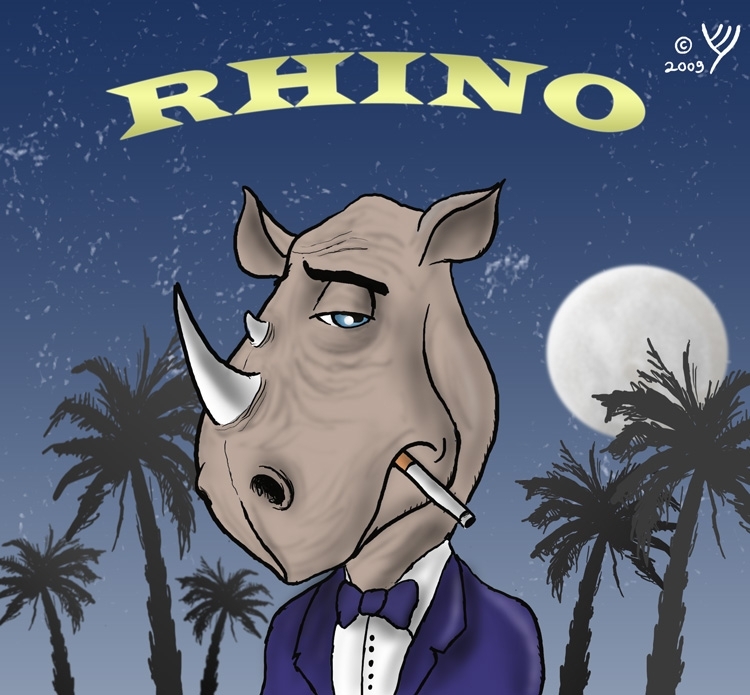 A cartoon of a Rhinoceros Man, done as a parody on Joe Camel’s cigarette commercials (especially the ones portraying Joe as James Bond). 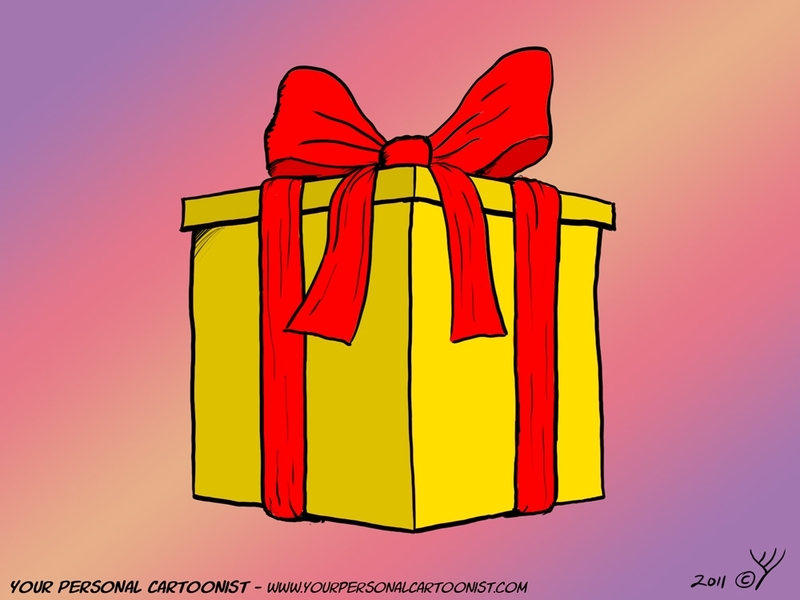 This cartoon was done for an online cartoonist’s challenge. Like this cartoon? You can ask me to draw a similar one for for whatever purpose you wish, be it personal or commercial. 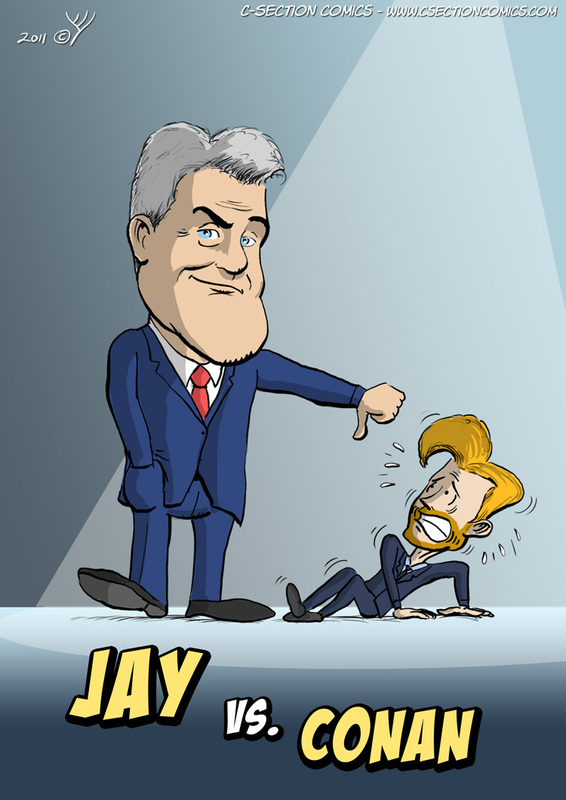 Or why not license one of my existing cartoons for an even cheaper price? 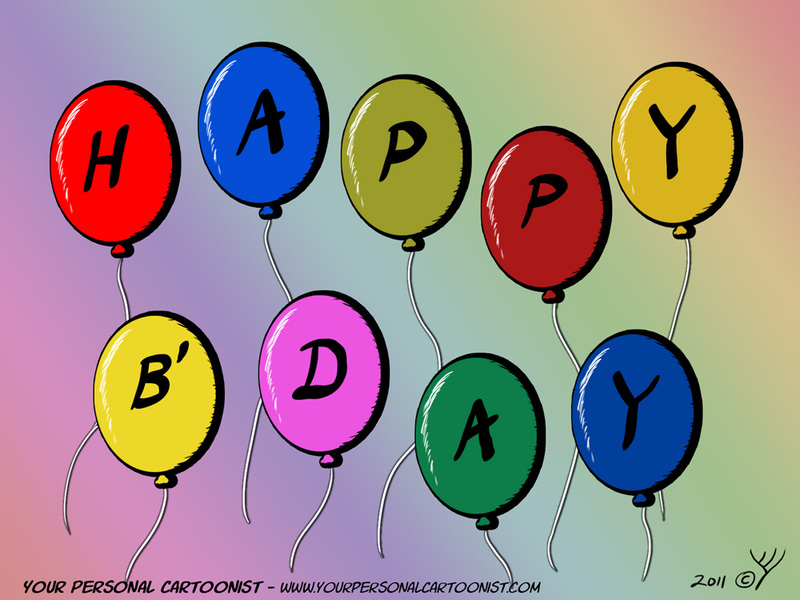 A cartoon of colorful birthday balloons, spelling out “Happy Birthday”. 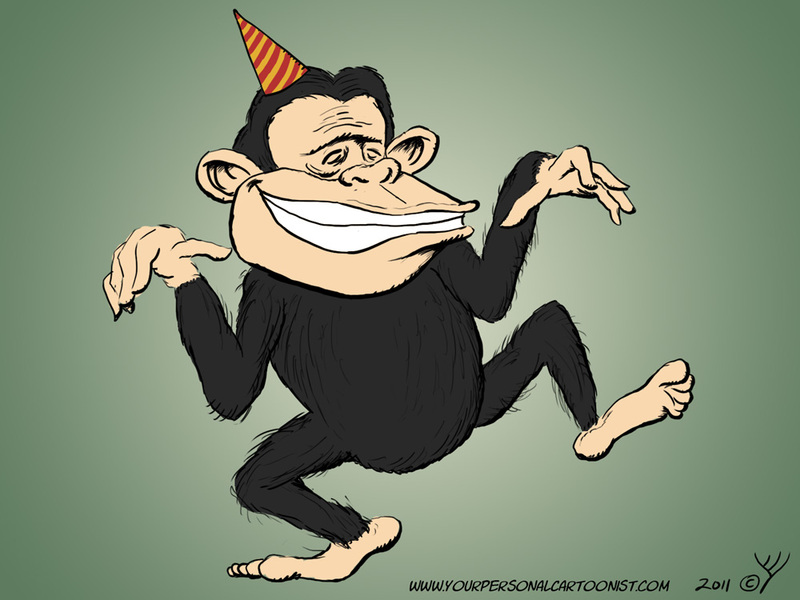 This particular cartoon was used in the “Happy B’Day for iPhone” application, which allows its users to send illustrated birthday greeting cards to each other and post them on their Facebook walls. 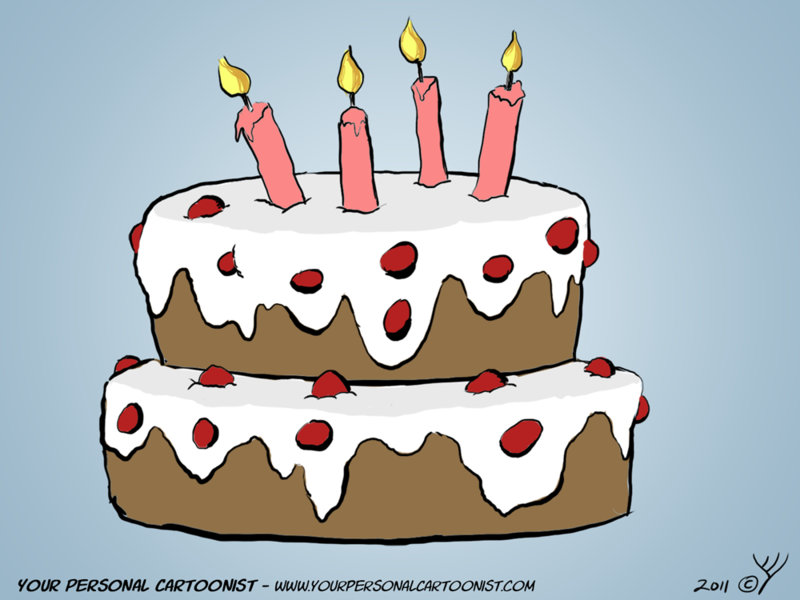 A cartoon of a birthday cake, with cream, candles, and berries. 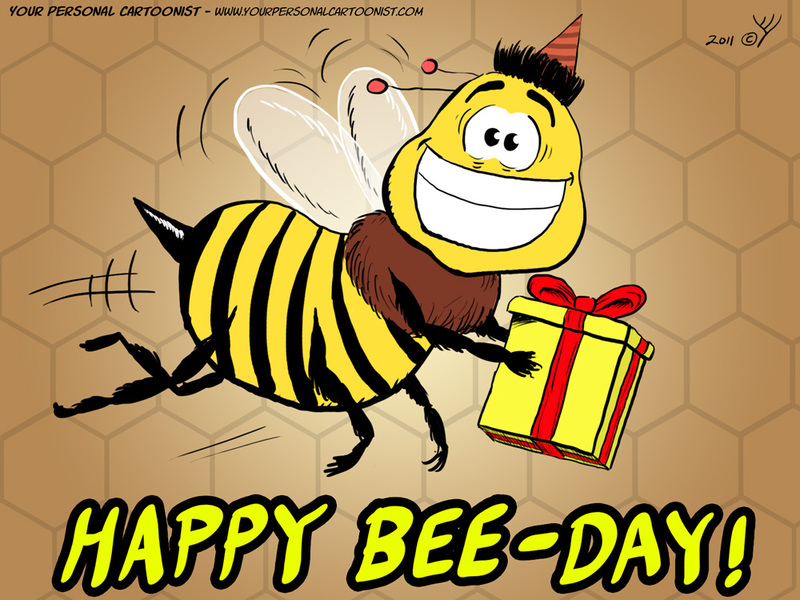 This particular cartoon was used in the Happy B’Day iPhone application, which enables users to send illustrated birthday greeting cards to each other.